The students for student council made pine cone bird feeders to hang around the school. 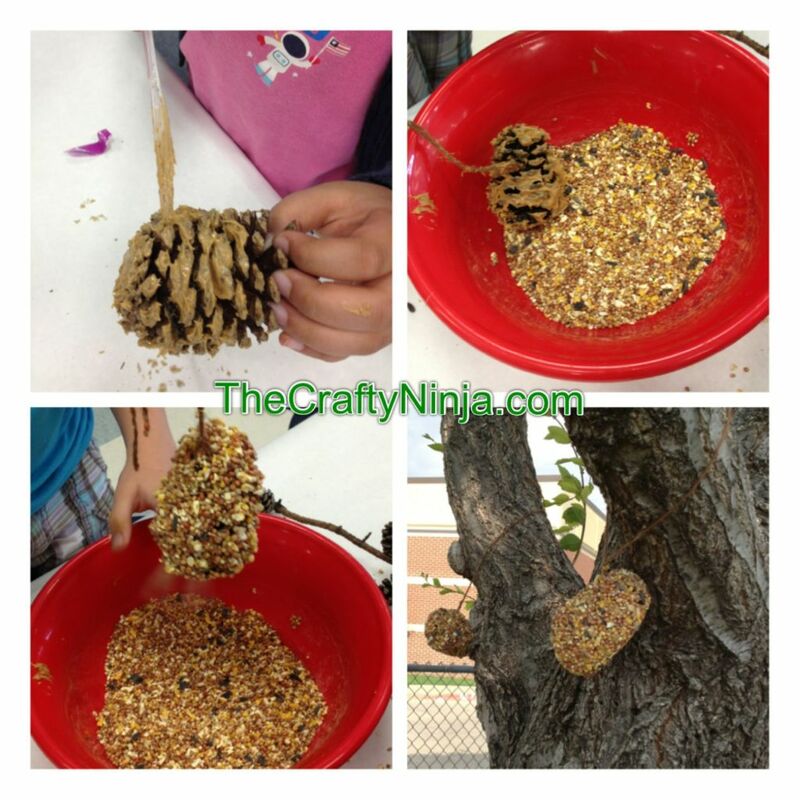 The students enjoyed this project so much and I also had fun creating my own bird feeder. The supplies needed: Pine Cones, Bag of Bird Seeds, Yarn, Peanut Butter, Large Bowl, Styrofoam Cup, and Plastic Knife. First be sure to cover your tables because this project is very messy, I used butcher paper. Next scoop the peanut butter into the Styrofoam cups for each student. 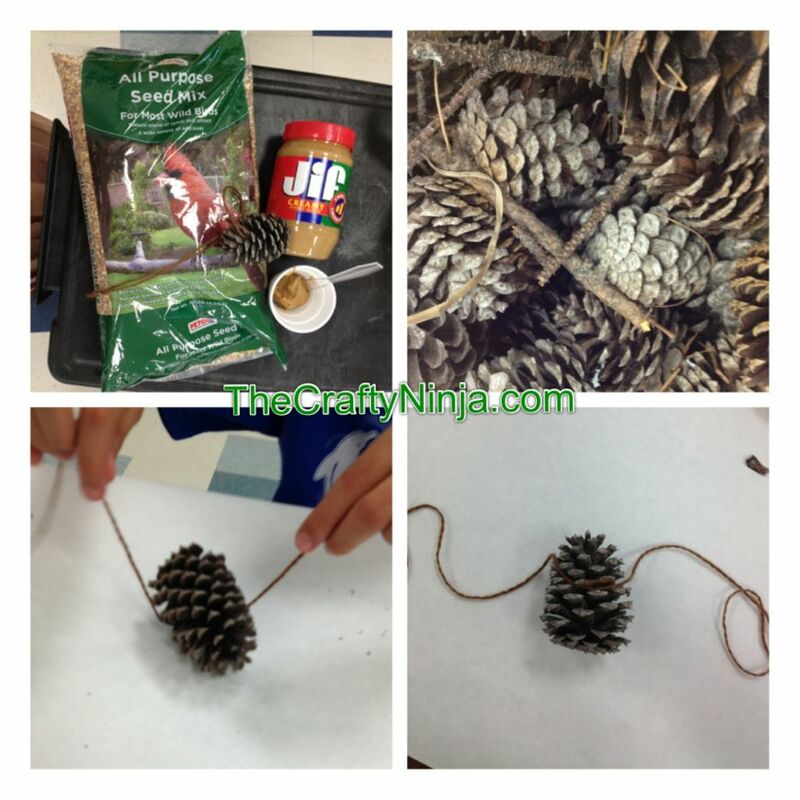 Cut yarn to tie around the pine cones, be sure to double knot. Using the plastic knife coat the entire pine cone including inside the ridges so the bird seed will stick. Have a large bowl with bird seeds to roll the peanut butter covered pine cone. 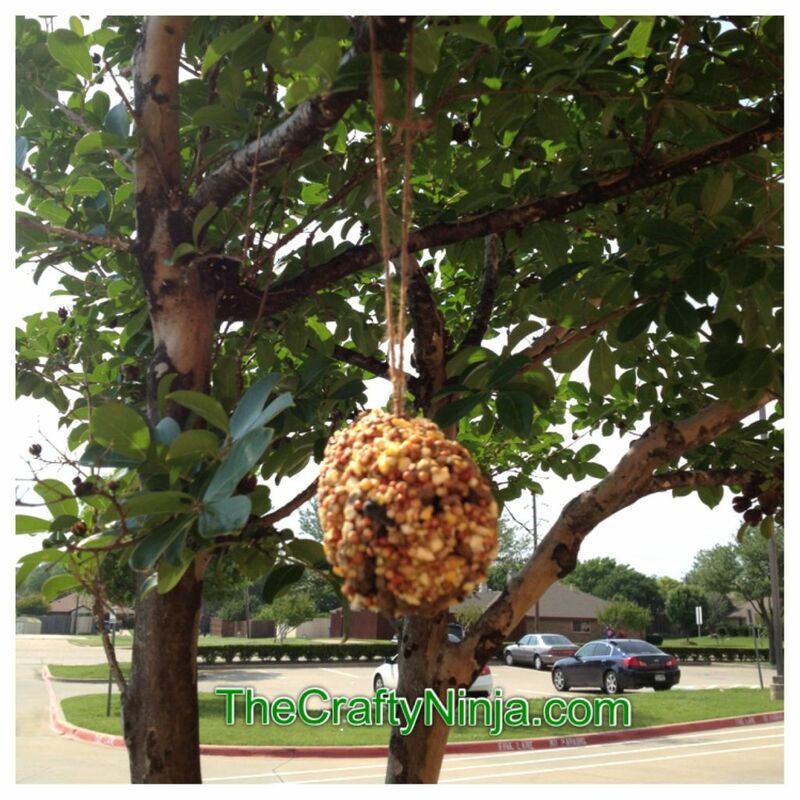 Last find a good spot on the tree to hang the pine cone bird feeders.